26 individual objects from The Foundling Museum’s collection. 26 ‘sestudes’ – poems exactly 62 words long. This is an exhibition that brings a fresh perspective to familiar objects, and places those lesser-known in the spotlight. 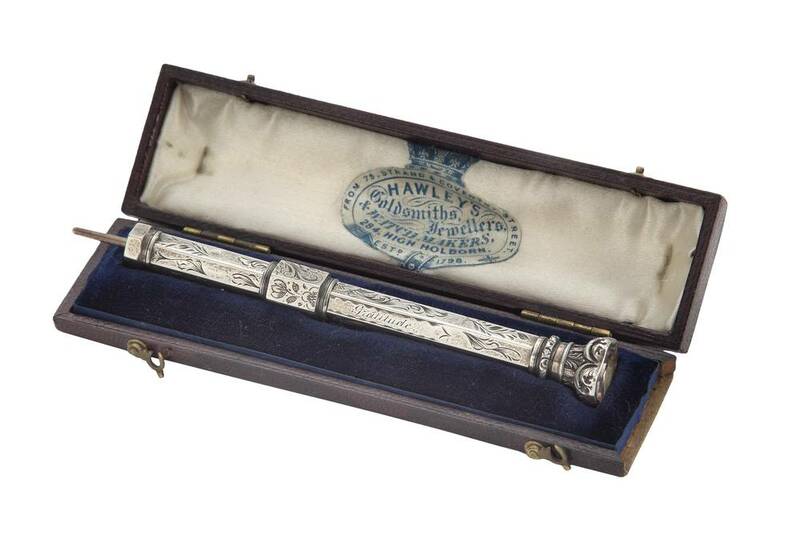 From the pencil that belonged to Hospital Secretary John Brownlow, to George Frideric Handel’s Will. From a drainpipe to matron’s mallet. 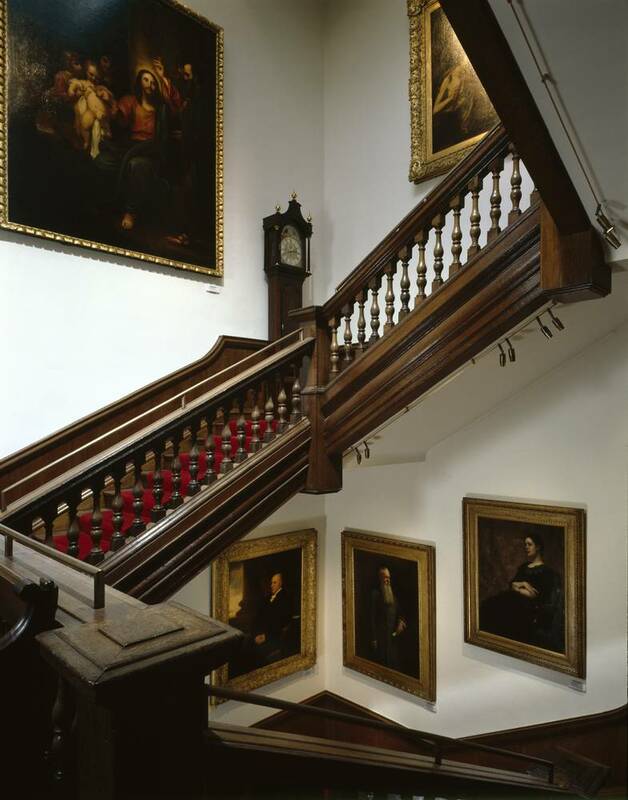 From a staircase to a Hogarth painting. The Foundling Hospital was founded in 1739 by philanthropist Thomas Coram to care for babies at risk of abandonment. It was the UK’s first children’s charity and first public art gallery, supported by the creative generosity of artist William Hogarth and composer Handel. It’s not the first time that 26, the writer’s organisation, has worked with a museum to provide a fresh perspective on its collection. From the V&A in London to the Welsh National Library, the National Museum of Scotland and the Ulster Museum. It was our 26 Treasures of Childhood exhibition with the V&A’s National Museum of Childhood in 2012 that first sparked the idea of a creative collaboration with The Foundling Museum. Rhian Harris, director of the Museum of Childhood, had previously been director of the Foundling Museum. 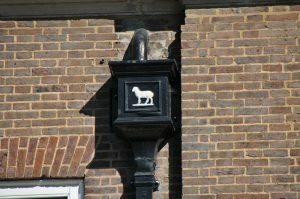 By chance Sue Evans and John Simmons of 26 separately visited the Foundling and came away enthralled by the collection. Surely this could be another 26 project? So John asked Rhian to make an introduction to Caro Howell, director of the Foundling. A couple of positive meetings later, and the idea for 26 Pairs of Eyes was agreed. The Foundling Museum selected 26 objects from their archive that reflected the many different elements of its collection. Our exhibition was also about raising the profile of the ‘quieter’ objects in the museum to tell a different story. Our trail of discovery through the Foundling Hospital’s archives began in early February when (nearly) 26 writers gathered for a private tour of the museum with Caro Howell and curator Stephanie Chapman. We did not yet know which objects we might be paired with and some of us secretly hoped for the tokens – the tiny mementos left by mothers to identify their children. Over a cup of tea in the Court Room and using the robust, scientific method of screwed up pieces of paper pulled from a tricorn hat, 26 writers were paired with 26 objects. Meanwhile, spoken word poets Jacob Sam La-Rose and Toni Stuart agreed to write an overarching poem on the whole project. We hope 26 Pairs of Eyes helps you discover the remarkable stories of the Foundling Hospital’s history.